Spiritual warfare is a topic that is both important and of high interest. As a result there are many ideas about the subject. Unfortunately many times those ideas come from world concepts of success and victory instead of the Word of God. You are at war. There is a brutal enemy out there that is targeting you. While, as a Christian, he cannot touch your eternal security, he desires to ruin your life [and the lives of those you love] and your effectiveness here on planet earth. Many Christians stumble through enemy minefields and take enemy fire totally oblivious to the fact that they are in middle of a battleground. Ignorance is deadly. Others run in fear because they have a larger view of the enemy than of their God. Still others are misdirected in the fight spending their energy on “important” objectives while missing the enemy all around them. We are to be wise. We are to prepare and train ourselves using the strategies and weapons provided by Jesus Christ. Many Christians think that the blessings of God are simply handed to them. Israel was given the Promised Land by God Himself, but they had to go in and fight the giants there to actually possess it. Likewise, if you want to have all that God wants for you…you will have to go where the giants are. This is not a cause for fear because God has given you everything you need for victory…and He goes with you. This is an interesting passage of Scripture on people engaged in spiritual warfare. In the first part we have people succeeding in victories that we recognize and appreciate. The last part talks of a different apparent result of spiritual battle. Which group is more victorious? The correct answer is that they both are victorious. They both steadfastly maintained their faith under pressure even through from a worldly viewpoint some were successful and others were not. If you consider, when did Jesus gain His greatest victory? On the Cross. When was Job victorious? When he lost everything and still kept his faith. We must be careful that we are not judging by appearances. Sometimes what are our greatest victories in the spirit realm look like our greatest defeats in the natural realm. Having said that, I am not a defeatist. I believe in the visible victory of the Kingdom of God before the return of Christ. I am just cautioning against a superficial view of warfare and victory. Also, we often think of spiritual warfare in terms of battling demons, casting out devils, and storming the gates of hell. That is only one aspect of spiritual battles. The average battle is often far less exciting but very practical. It can include things like making time for daily prayer and Bible study, being honest with the time taken on your breaks at work, treating your spouse with respect even when you don’t feel they deserve it, giving up things you would like to do so you have more time with your family, praising God even when your heart is breaking over a situation, being honest on your tax return, etc. It is practical everyday stuff. Things we think of as ordinary and so normal that we don’t think they are important…but they are if we are to be disciples and grow to be like Jesus. 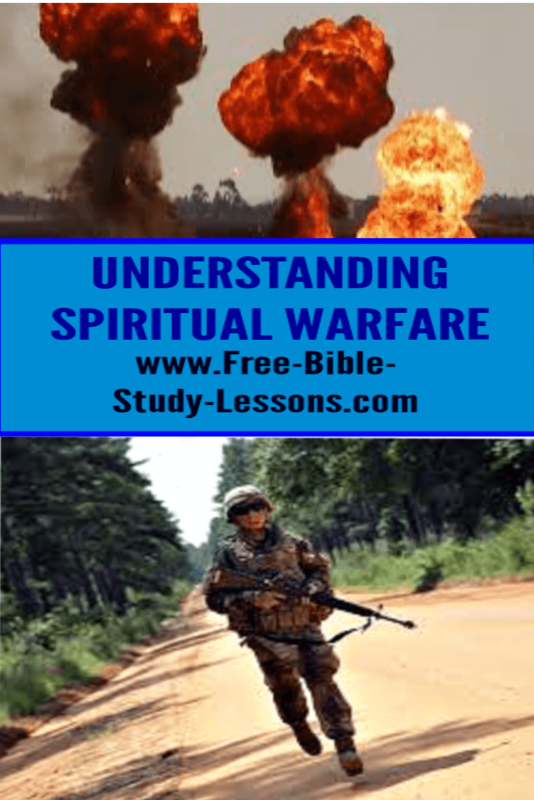 In the videos below you are going to learn the 9 Principles Of War used by great generals and how they apply in the spiritual realm. You are going to see what kind of Christian weapons God has provided for you [however, YOU have to take the time to learn how to use them effectively!]. And finally, these principles are going to be illustrated in the epic battle of David and Goliath. These video messages will instruct and train you, but you must choose to practice them. Rev. Lowe has also put this seminar into book form. If you enjoy the videos you may want to purchase the book below for further study.